When I was at Menards one day scanning the aisles for some kitchen backsplash ideas. I picked up a stack of travertine square tiles in the clearance section. I wanted to make a few to bring as hostess gifts for upcoming holiday parties. I like to bring a bottle of wine from the family winery for the host, but this is just an extra to add to the gift. Easiest DIY ever. I did it while we watched Home Alone this weekend. I love Home Alone around the holidays. It's nice to watch it with all the Christmas lights twinkling and a fire. These were 2 bucks at the hardware store for all 8. They have more expensive ones. But I chose these because it was more stone-like, less shiny tile. Plus, they were in the clearance section. And when I messed up (because I am no Martha), I just painted over it and did a reverse stencil look. NOT PICTURED (because it's too dang cold outside to be pausing to take action shots): Spray with a clear coat outside to make sure your minutes of hard work stenciling stay put. I added little felt tips that I already had on hand. But you can get a huge bag at the hardware store for 6 bucks. Tie a few up with some twine. And you are finished. What do you like to bring/get at hostess gifts? 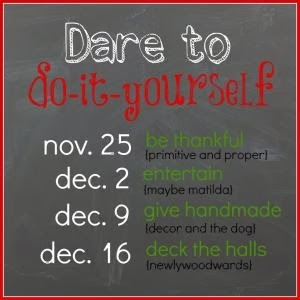 Linking up with: Decor and the Dog, Maybe Matilda, Newlywoodwards and Primitive and Proper! Very cute! I'm also a huge Home Alone around the holidays fan. It's on our list for next weekend! Thanks Michelle! It's one of my holiday favs! I love these coasters! 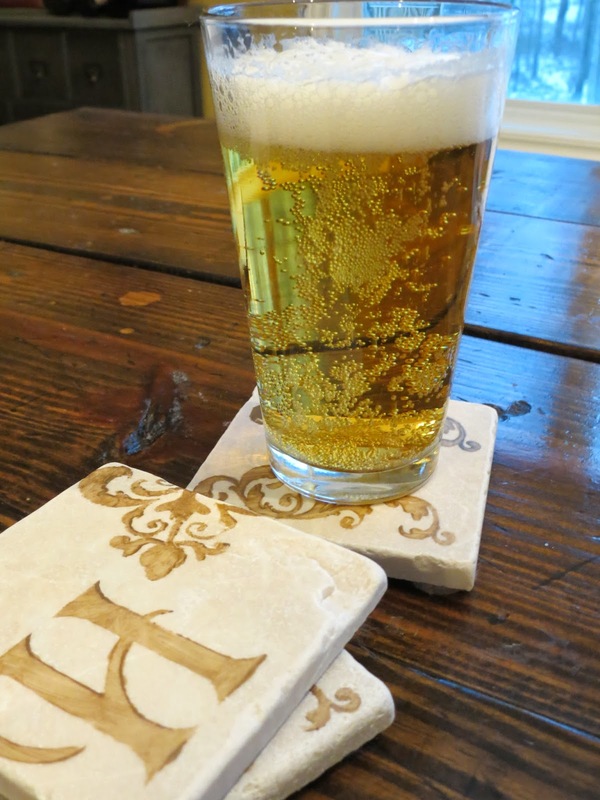 I've done something similar with photos on tiles and my recipients loved them! Great gift idea! Thank you Cindy! Photos is a good idea too! oooOOOOOoooo..... I need to know you in real life so I could get some of these. Especially love the dark ones! YEEESSSSS this is a perfect gift idea! They came out beautiful! Really cute idea for a gift! I love the monogram. Those turned out so cute! I really need to get better about getting good hostess gifts! I know, I usually grab a bottle of wine and call it good...but I made some extras to keep on hand this time. I agree it's a good point of views and it's all effective. Thanks for sharing this nice post. i know some days more than others huh?! I love your blog and I love the header. I will be a regular here. 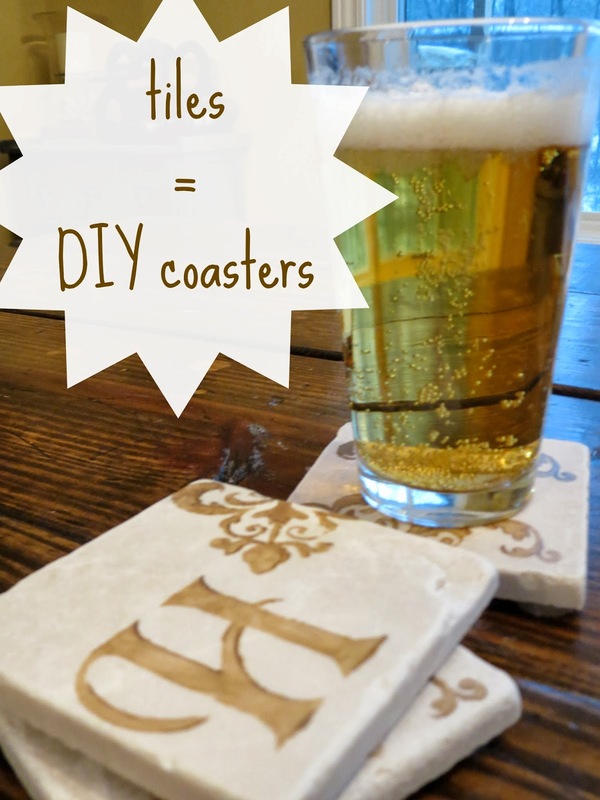 The DIY coasters are awesome. I will have to try and make these. Thanks for sharing such awesome(NESS) … From your newest follower Sherry @ The Rusty Pearl .. Thanks Sherry for your kind words! 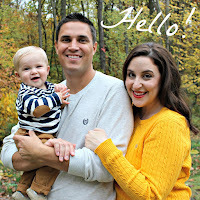 and Welcome :) off to check out your blog now too! I've made them with scrapbook paper in the past too. So cute! Very cute! Great gift idea! I think you've made some truly interesting points. Nice post. i love these!!!! bookmarking this for future gifts!!!!! Super cute, and so inexpensive! I had some mustache coasters in my hand today at Hobby Lobby...$17.99!! No way, I need to DIY some! Thanks for sharing!